Eating foods too hot or too cold can impair enzymes needed for proper digestion and can create toxicity. Never consume anything that is older than 2 days. Do not consume food or beverage that has chemicals, numbers, colors, and preservatives in it. Never drink out of the same water cup or bottle more than 1 day without washing it out with soap and water. Avoid coffee, including decaffeinated products containing isolated caffeine. It is rough on the kidneys. Never eat or drink out of a plastic container that is exposed to heat. Do not thaw items in plastic anywhere other than in a refrigerator, cooler, or someplace very cold or leave cold items that are in plastic out at room temperature. Beware of all plastic products that food and/or personal care items are stored in, plastic may leech into the product when temperature changes occur. Avoid using plastic containers to heat food in microwaves. Use glass, ceramic, or stainless steel as a safe alternative to plastic. Always keep food or drinks in the refrigerator covered. Avoid using metal utensils or silverware on a Teflon cookware. Wash out the soap holder, left over soap can go rancid. Avoid sleeping on a poor quality mattress. Avoid wearing poor quality shoes with no arch support. Avoid the use of cleaning items that contain harsh chemicals. Do not refill old essential bottles with new essential oils. The old essential oil left behind may be rancid. I Love the Way I Feel! I Will B Consistent with My Healthy Lifestyle! I Am Dedicated & Focused! I Am Productive & Successful with all my Goals! Q: What are the best ways to maintain eye health and to prevent wearing glasses. Why is buying water in a plastic bottle normal but not natural. To maintain eye health, take our Eye Formula, drink 1 cup of Blueberry juice per day, and perform eye exercises daily. Q: Not many candy things we can eat, are these items bad to consume? Is it alright eat gummi, made of seaweed? Yes! Okay to consume! Look at it, is seaweed animal-derived? Boom, there it is! Q: First, I'd like to say that I love your product and if instructions are followed and lifestyle changes are made, your wonderful herbal products will greatly improve many lives. I am a witness to it and I thank you for the education. My question... Do you know where I can get quality Acai berry juice and other products? You help with this is greatly appreciated. Thank you for that testimony, Beloved! Greatly appreciated. In re Acai Berry, look into Monie Vie (though mixed with other berries). Great product! Health food stores now sell Acai Berry juice (i.e. Knudsen). I purchase mine from Whole Foods Market. Pure 100% Acai Berry may be a little challenging to find though! Q: Thank you very much for the much needed informative site. I have a question concerning whether paid employment affects the quality of our lives, and health. If you have a consulting, or airline job where you have to fly on a weekly basis for work, can that negatively affect your health and well being? If your short term choice is to keep working the job, what herbs can you prescribe to help one cope and manage the lifestyle especially if one is tired of the travel lifestyle? Travel lifestyle will greatly affect your health because excessive traveling throws off your circadian rhythm. Jet lag is when the plane has landed on the physical ground but your ethereal self is still up in the sky and so you are not all there so to speak. Stay tuned for our article on "Jet Lag." Dherbs.com formulas that can assist in counteracting jet lag include: Nerves Formula, (and/or Tea) and Ethereal Bliss. Dherbs.com - Tell 10 people about us!!!! Q: In the instructions booklet that came with the Full-Body Detox some items were mentioned for use that I am unfamiliar with and have no idea where to find them. Can you help? The items are food grade hydrogen peroxide and/or stabilized oxygen and alkaline water. Traders Joe's, Wholefoods or any health food store. Q: Are there any types of food, or drink to avoid consuming whilst taking Fibroid Buster? Only drink water, herbal tea, fruit juice, and vegetable juice. 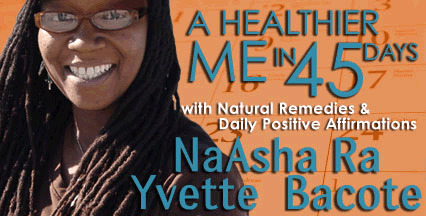 Q: I recently ordered some soap by Nubian heritage I wanted to know if that soap if made from all natural products. Made from mostly all natural ingredients. A good brand of soap!